If you are on Pinterest as much as I am, you've probably seen the claim for "Five Minute Artisan bread" or "No-knead bread". Well after I saw posts on The Baker Chick and Chef in Training I decided to try it out for myself. I wasn't sure how it was going to work because I don't have a dutch oven, but I read somewhere else that you can use a circular casserole dish with a lid and it worked perfectly. 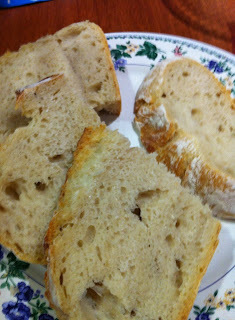 It makes a very basic bread with a crunchy crust perfect for dipping in olive oil. Next time I will try adding some herbs and I'll let you know how it goes! The picture process is at the end. 1. Combine the three dry ingredients in a large bowl. Add lukewarm water and stir until combined with a wooden spoon. Cover and leave overnight (12-18 hours) to rise. 2. When dough is done rising, heat oven to 450 degrees F **WITH** your casserole dish inside (including lid) to heat up with it. Allow it to heat for 25-30 minutes. 3. 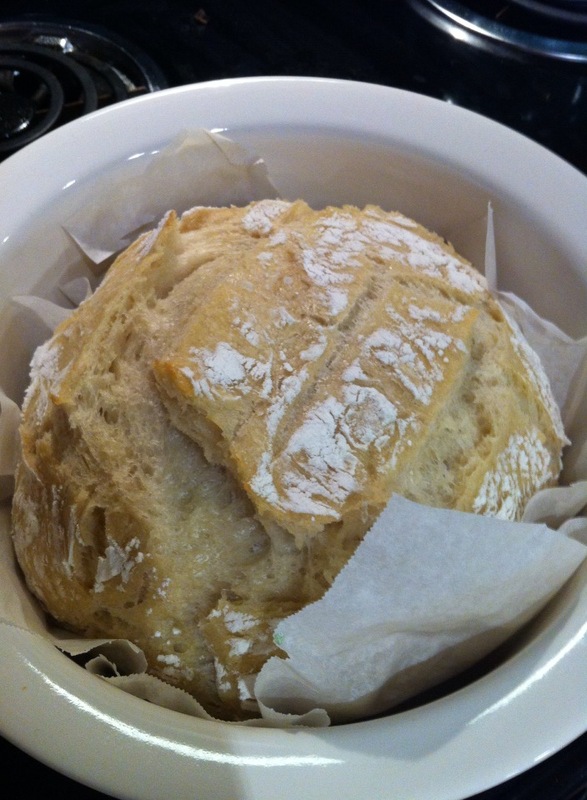 While your oven is heating up, heavily flour your countertop. The dough should have risen and be a big sticky blob. 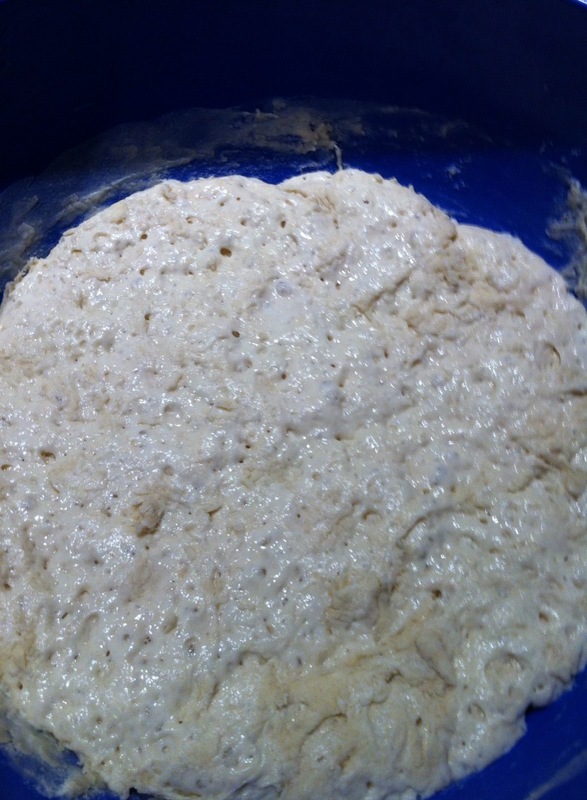 Pull the blob out of the bowl and shape into a ball. 4. 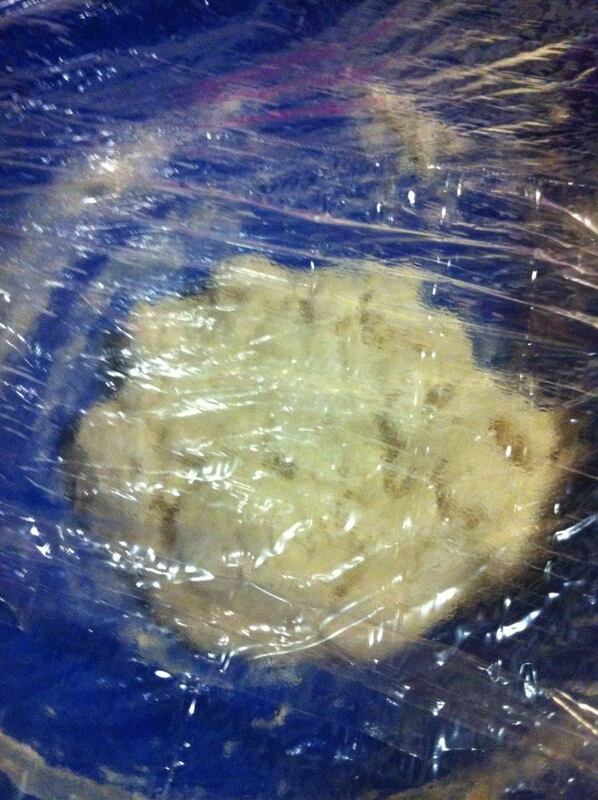 After your dough is in a ball, cover with your original plastic wrap. Let rest until the oven is done heating. 5. 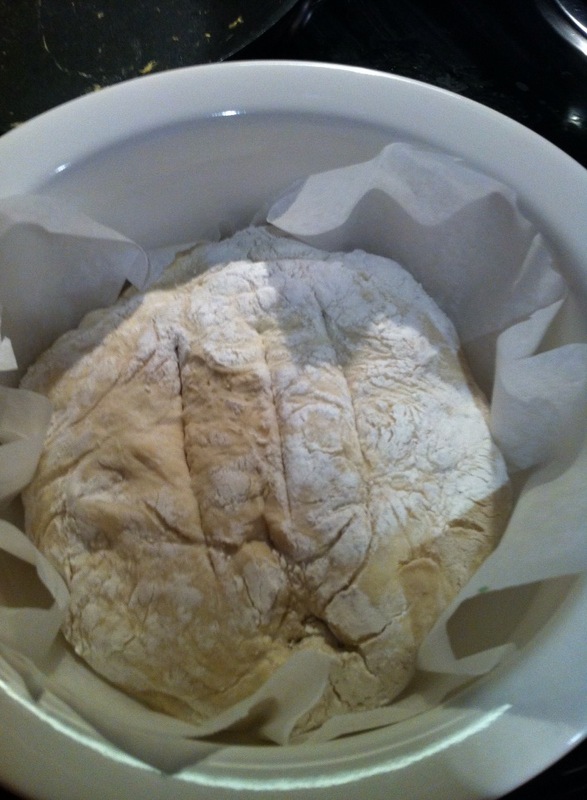 After the casserole dish is heated, I put in some parchment paper so that the dough wouldn't stick too much. Add your dough ball into the dish and cover with a lid. 6. Let bread cook for 30 minutes. 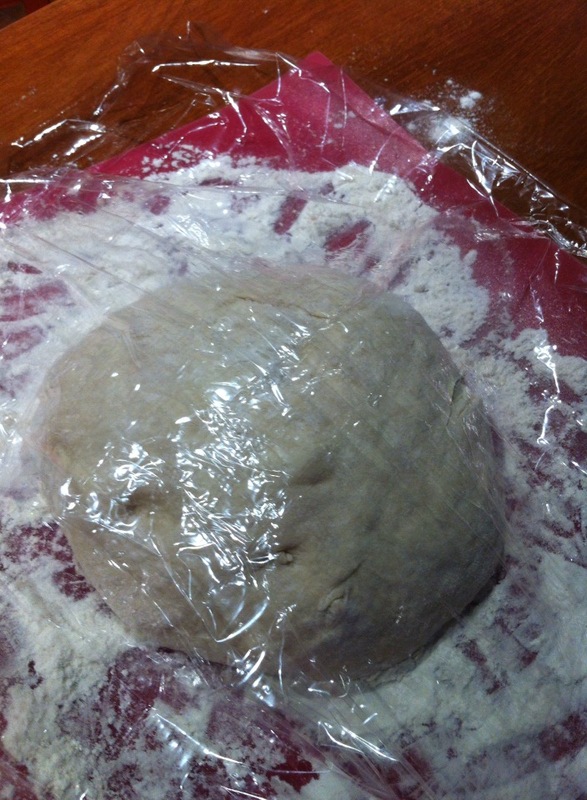 After 30 minutes, take it out (with oven mitts! Super hot!) and remove lid. 7. Return dish to oven sans lid to brown the top. It took about 15 minutes. Voila! 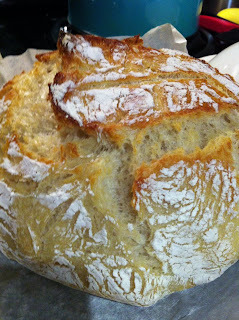 You're super easy and beautiful artisan bread! Step 5 before cooking. I cut three lines in the dough. Delicious sliced bread! Perfect for wine and cheese nights.